A staple of easy listening radio throughout the latter half of the 20th century, Henry Mancini’s gifted songwriting abilities often overshadowed the films he scored. Despite winning an Oscar for his score for “Breakfast At Tiffany’s” (in addition to another Oscar he shared with Johnny Mercer for “Moon River” from the same film), the complete score for the picture has gone largely unheard on compact disc until now. Mancini’s talents are on full display with this album, which includes all of the jazzy party music from the film (“Loose Caboose,” “Moon River Cha Cha”) but several cues of haunting orchestral color, highlighted by the ethereal sound of the harp and vibraphone. There’s also some jolly wordless vocal numbers that presage the work of Burt Bacharach, in the later 1960s. Just as the Criterion Collection is known for its high-quality home video releases, with true value-added extras and bonus features, Intrada is tops when it comes to soundtrack reissues. 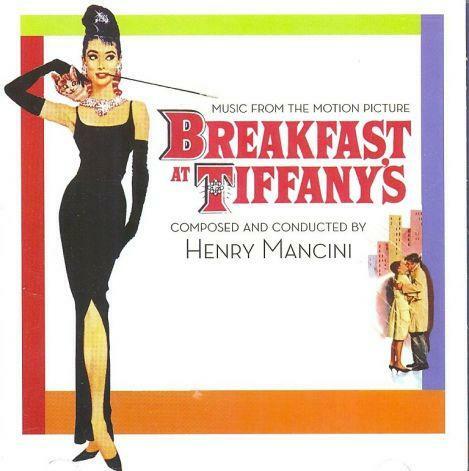 For “Breakfast At Tiffany’s,” they’ve not only secured the whole score for the first time, but alternate takes of the title song with different instrumentation, and even a demo of “Moon River” that was sent to the song’s publishers before the film’s release. A 23-page booklet chock full of photos, posters, and detailed historical and technical notes makes this release everything a fan of the film and its music could wish for. This month, KPAC is celebrating thirty years of broadcasting. Our hosts are having some fun sharing "30 lists" - artists, music, movies, and recordings you might enjoy, that help shape the sound of your classical oasis. As the curator of Texas Public Radio’s film series, Cinema Tuesdays, I spend a lot of my free time enjoying movies, and their soundtracks. Soundtracks make up a small but important section of our library at KPAC. Because we connect to movies on such a personal level, film scores often come with built-in emotional attachment. Below is a list of some of my favorites. While this is by no means a ‘best of’ list, these are the records I enjoy spinning most often on my CD player and iPod. I created a Spotify list, linked below, so you can listen to all of the tracks in a playlist, and in the article, each track is linked to Amazon when available so you can download a song or album for yourself. Have fun listening! Click here to listen to the list on Spotify. Disney's Frozen is having a big January.